We call high heels “torture chambers.” Squeezing toes, which are semi oval, into unyielding leather triangles causes foot pain, knee pain and back pain. Foot Shox insoles are a simple remedy for foot pain, knee pain and back pain caused by high heels. More than 80 percent of women complain that their feet hurt. If you wear heels, you probably admit they’re not comfortable. But you may not be aware that stilettos damage your posture, increase your risk of falling and are the main culprits of women’s foot pain, knee pain and back pain. The American Podiatric Medical Association labels high heels “biomechanically and orthopedically unsound.” Foot Shox insoles will make your stilettos foot friendly. Ball of Foot Pain: Even if you’re wearing sensible shoes, each step you take generates a jarring force 50 percent greater than you body weight. We call it “step shock.” If you’re wearing high heels with thin insoles, you suffer even greater step shock. Stilettos double the weight borne by the ball of the foot, causing ball of foot pain. This excessive and prolonged pressure also thins out or destroys the fatty pads on the bottom of your feet that act as natural shock absorbers. When your natural shock absorbers are shot, you suffer ball of foot pain. Knee Pain: The foot police warn women that high heels damage their feet and cause foot pain. But did you know that high heels also cause knee pain? When you walk in heels, your ankle joints don’t move as freely. To stabilize yourself, you compensate by twisting at your knees. This puts strain on your inner knee. Over time, this repeated wrenching of your knees could cause osteoarthritis of the knee and knee pain. Back Pain: When you wear high heels, your entire weight is thrust forward, making it very difficult to sustain upright balance. Stilettos force women to use a lot of extra muscular effort to keep themselves from falling forward. Much of this extra effort is concentrated in the lower back, producing an exaggerated arch, which causes back pain. If you are unwilling to give up your high heels due to fashion or job requirements, you need shock-absorbing insoles to relive your foot pain, knee pain and back pain. Shock-absorbing insoles absorb the painful impact of step shock, thereby relieving foot pain. 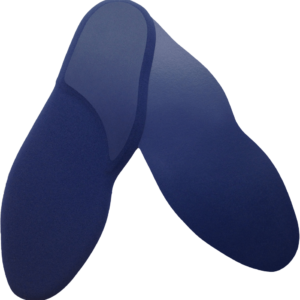 Shock-absorbing insoles also prevent the jarring shock waves from reaching your knees and back, helping to relieve knee pain and back pain. Unfortunately, almost all brands of shock-absorbing insoles are way too thick and bulky to fit into stilettos. Foot Shox insoles for women’s dress shoes may be the only insoles that effectively absorb the painful impact of step shock, yet are thin enough to fit comfortably into high heels. That’s because Foot Shox insoles are made entirely of LIQUID FILLED, the #1 shock absorbing insole material in the world. An independent lab rated LIQUID FILLED #1 for absorbing painful impact forces — superior to latex foam, gel, sponge rubber, neoprene, vinyl sponge or viscoelastic. The more shock absorption in your insoles, the less foot pain, knee pain and back pain you’ll suffer when you’re wearing high heels.